Ankeny Area Quilt Guild Show! 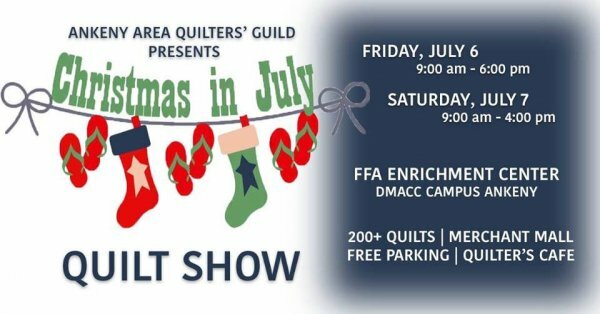 It's the Ankeny Area Quilters' Guild's annual quilt show! Come see Woodside Quilting in our booth at the show! We will have new samples and kits for you to drool over and purchase. BERNINA Machines and our Westalee Ruler Demo.